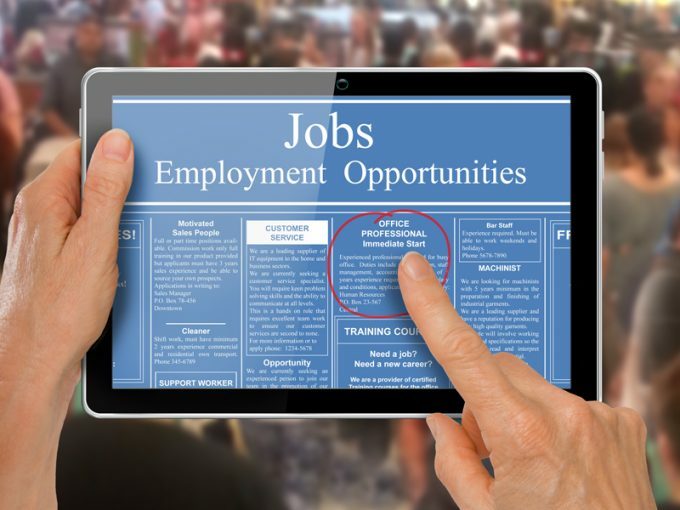 Despite a slower monthly addition of jobs, California’s unemployment rate fell to 5.2 percent on a seasonally adjusted basis in December according to the latest numbers from the state Employment Development Department. Several times in 2016, unemployment matched lows recorded in June 2007. The main driver of this decrease was a decline in both the labor force and household employment, although those metrics are up notably year over year. All Bay Area counties except Napa saw unemployment rates drop from the previous year and month, and the region’s unemployment rate now averages 3.7 percent. In December, California created 3,700 new jobs, which is lower than the monthly average gain of 27,700 jobs throughout 2016. Nevertheless, based on gains in metropolitan areas, December numbers will be revised up. The upcoming annual revisions are also likely to result in higher numbers for 2016. Overall, California’s 2.0 percent year-over-year increase in jobs in December again outpaced the national gain of 1.5 percent. There were 332,500 new jobs created from December 2015, with nine of California’s 11 industry sectors adding positions. Despite the lower monthly gains, major employment sectors in the state and the Bay Area continue to add a healthy number of new jobs. The largest job gains were in educational and health services, up 80,700 jobs (a 3.2 percent increase) and government, up 61,900 jobs (a 2.5 percent increase). Other sectors that created jobs last year were construction; trade, transportation, and utilities; information; financial activities; professional and business services; leisure and hospitality; and other services. The mining and logging and manufacturing industries posted job declines over the year. In the San Francisco and San Jose metropolitan areas, the strongest relative annual job growth occurred in the professional and business services sectors, which added 7,200 and 13,600 jobs respectively from last December, marking the 79th and 80th consecutive monthly gain on a year-over-year basis. Most of the jobs were in professional, scientific, and technical services, which are relatively high paying. The private education and health services sectors followed, while the construction sector also maintained strong growth. In a separate report, The Conference Board Help Wanted OnLine® Data Series showed that California had a total of 559,432 job ads in December 2016, an increase of 14,321 job ads from November 2016. California’s employment supply and demand rate in November was 1.90, meaning that there were roughly two unemployed individuals for every online-advertised job in California. In the Bay Area however, there were a little more than 163,000 jobs advertised in December, and the ratio is 0.84, which means that there is roughly one unemployed individual for every advertised job. The Bay Area is the only job market in California where that ratio was below 1.